Herbal XOIs Green Tea & Resveratrol explains how 2 herbal Xanthine Oxidase Inhibitors (XOIs) can lower uric acid. Specifically, it describes studies of green tea leaf extract, and resveratrol. Firstly, Herbal XOIs Green Tea & Resveratrol is aimed at Gout Herbalists. 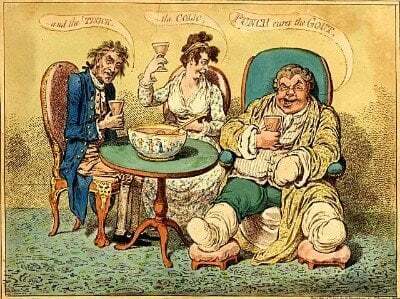 So, you should think about what type of gout sufferer you are. But, if you’re unsure, please read Questions for Gout Sufferers before reading this. Hyperuricemia is the hallmark of gout. Pathogenic mechanisms of hyperuricemia include uric acid overproduction in the liver or underexcretion in the kidney. Current anti-hyperuricemic agents include xanthine oxidase inhibitors (XOI) in which allopurinol is the most often prescribed. However, many gout sufferers have side effects from allopurinol. So the search for natural agents has pushed many to try products outside of the more commonly used pharmaceutical medicines. Herbal XOIs can be part of the gout treatment regimen. There are two very potent and safe agents that have XOI effects, green tea leaf extract and Resveratrol from Japanese Knotweed root. Green tea contains a high level of catechins, in which Epigallocatechin gallate (EGCG) is the most abundant compound among other types of catechins. 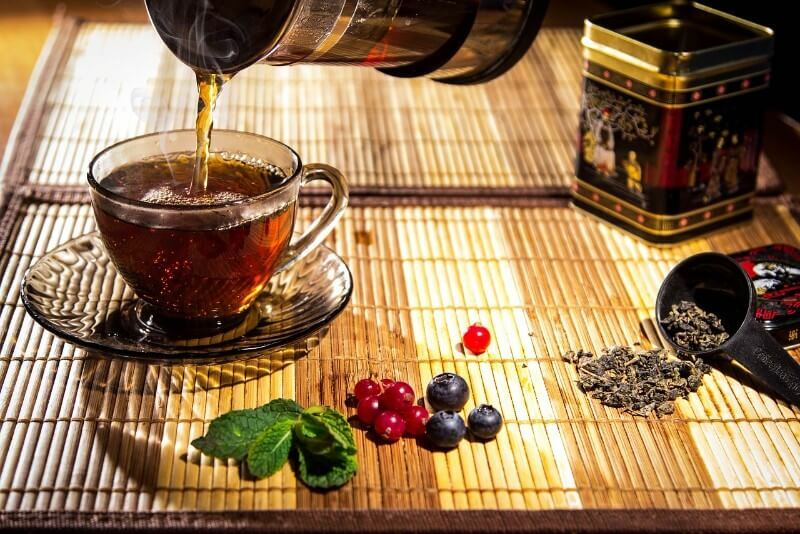 Their antioxidant effect contributes to various potential health benefits of green tea. Several in-vitro studies have found that green tea inhibits xanthine oxidase activity and subsequently uric acid production. It is interesting to note that the FDA has approved human clinical trials in the United States that will study the effects of green tea leaf extract on gout. Resveratrol from Japanese Knotweed root, an exceptionally potent polyphenol compound, has been shown in-vitro to be capable of directly inhibiting xanthine oxidase activity and thus block the overproduction of uric acid . Have you tried green tea for gout? It is important when considering natural agents to reduce uric acid, that one considers both uricosuric and xanthine oxidase inhibitors. Leave Herbal XOIs Green Tea & Resveratrol to browse Xanthine Oxidase Inhibitors for Gout Sufferers. Or, ask about any aspect of your gout in the gout forums. To read the document revision history for Herbal XOIs Green Tea & Resveratrol, click the GoutPal History image on the right. If you would like to contribute improvements to this page, please add your comments to XOI discussion. But note, that discussion is for improving XOI information. So, if you have personal questions about XOIs, please ask in the gout forums. We are first line support in GoutPal's Gout Helpdesk. We post feedback from the Helpdesk into the gout forums. You will get a faster response if you post to the forum, yourself. It's very easy - just start a new gout forum topic. Or, see more help about logging in to GoutPal. If you cannot post to the forum yourself, let us help you. You can use the Helpdesk link above. Then we will show you how to use the forum. Or we will post your gout questions to the forum on your behalf.